Editor’s Note: Outreach takes on many forms. The goal most often is to understand the needs of a particular community. In this case, the goal was to improve Latino nursery worker educational materials. The results of the research can improve communication tools well beyond the nursery industry, OSU Extension, and Oregon State University. The “What Workers Think” project is one of 15 university outreach and engagement projects recognized at the 2017 Vice Provost Awards of Excellence celebration on April 17. 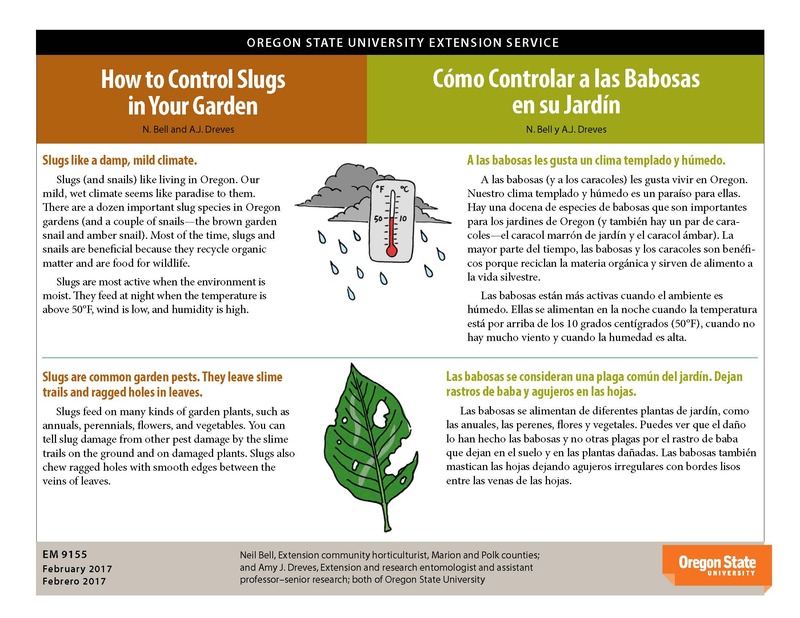 Spanish-speaking workers make up most of the labor force in Oregon’s horticulture industries; however, few Oregon State University Extension publications and multimedia materials are designed to meet their vocational and linguistic needs. A team at Oregon State set out to understand how instructional materials can be designed to improve the learning process for Latino nursery workers. The team consisted of Ariel Ginsburg and Dionisia Morales, publishing managers with Extension and Experiment Station Communications (EESC); Luisa Santamaria, Extension plant pathologist for nursery crops and bilingual educator, North Willamette Research and Extension Center (NWREC) and associate professor, Botany and Plant Pathology, College of Agricultural Sciences; and Gilbert Uribe, education program assistant (NWREC), now pesticide registration and certification specialist at the Oregon Department of Agriculture. EESC translates into Spanish some publications from the Extension catalog. 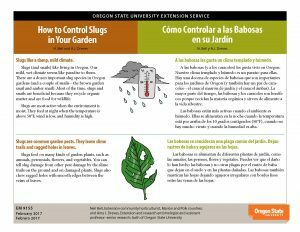 Feedback from Extension faculty working in Latino communities suggested that the choice of topics was not always well-suited to horticultural workers. Publications were often too technical, written at too high a reading level, or required a computer to download and print. 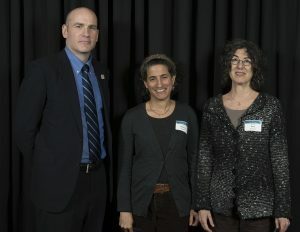 Dionisia Morales (middle) and Ariel Ginsburg (right) accept a Honorable mention for the WHAT WORKERS THINK: COMMUNICATION NEEDS ASSESSMENT FOR LATINO NURSERY WORKERS project. Ed Feser (left), OSU provost and executive vice president, presents the award. This feedback sparked a number of questions: Do workers want information to help them do better at their jobs. Do they want to learn key English vocabulary to communicate more easily with their employers? Are workers more interested in web-based training they can do on their own time, or in face-to-face sessions? Are they more likely to access information on their smartphones? Using a $1,500 professional development grant from the Association for Communication Excellence, the team conducted three focus groups. They asked workers directly about their needs and interests. Integrating into existing, employer-supported worker training events allowed maximum participation. The three focus groups conducted thus far involved 21 community members. A final focus group will take place in spring 2017. The findings have already started to shift how EESC delivers translated content. Latino workers want more photo-rich, mobile-friendly information and they want publications in which English and Spanish appear side-by-side. In 2017, members of the team will write an article for the Journal of Extension. Findings will be presented at conferences to help other Extension and communication specialists learn how they can engage Latino community members to learn what education needs they have and their preferred learning formats. Based on an abstract submitted for the 2017 University Outreach and Engagement Vice Provost Awards of Excellence. Posted in Community Outreach, Extension, Grants, Partnerships, Research.